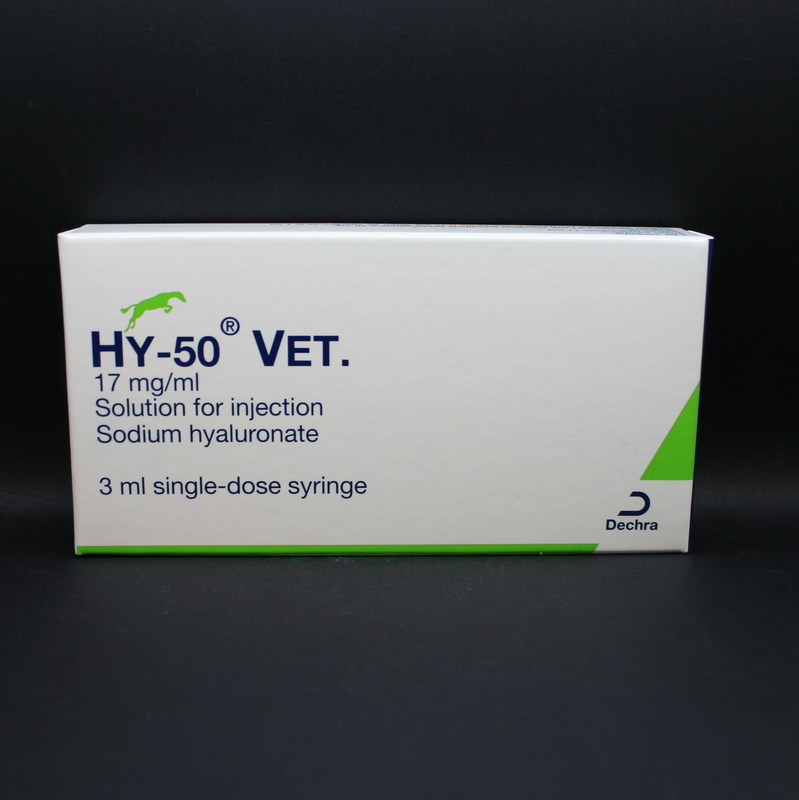 HY-50 contains Hyaluronic acid & can be used in the horse to treat lameness due to non-infectious joint inflammation. It can be given intravenously or intra-articularly (directly into the joint). Treatment can be repeated for a total of three times, at weekly intervals. HY-50 Vet should be stored in a refrigerator, between 2-8°C. Pregnancy & Lactat For further product information please click on the link below. 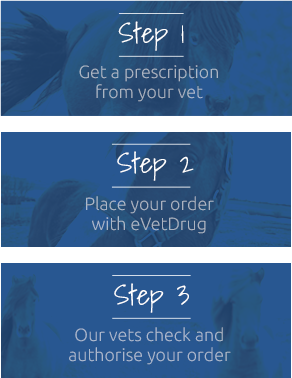 This will take you to the Veterinary medicines directorate (VMD) website where you can search for the product and see the most up to date Summary of product characteristics (SPC). ion- Seek advice from your vet for use during pregnancy & lactation.